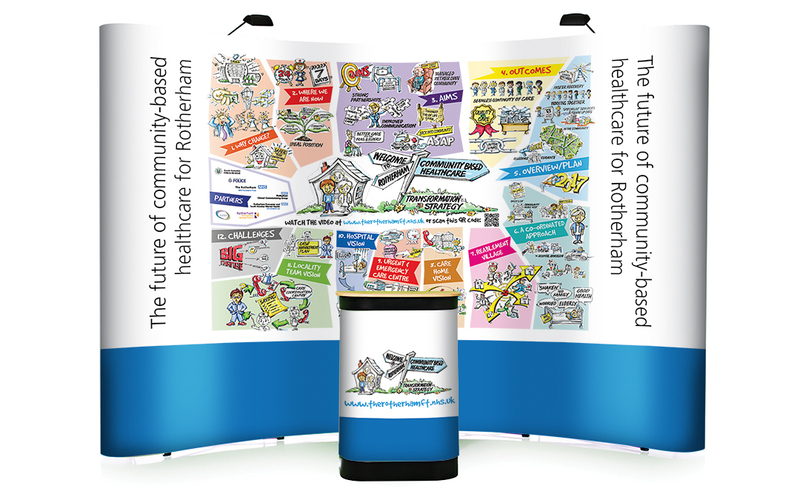 Beach Design worked with Rotherham Foundation Trust to communicate their new community-based healthcare strategy. The project began with the Rotherham team briefing us on the full scope of the transformation project, which we narrowed down to one master script. This script was initially used to create a detailed animation intended for internal use. Additional communication material was created with the original script adapted for each separate use. A ‘graphic novel’ template was created for instances where the story needed to be communicated in print form, and a ‘rich picture’ was produced as a pictorial summary of the strategy. 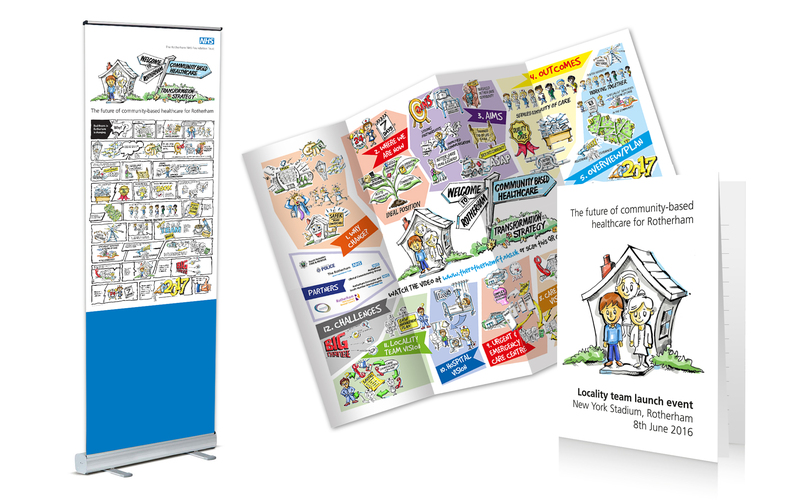 Handouts and display material was produced for the launch event to healthcare partners, and work continues on targeted communication material focussing on the part each individual service plays in the bigger plan.